Fitness BootCamp is a fitness program based on several martial arts disciplines and mixed martial arts training concepts. It is boxing, kickboxing, krav maga, muay thai and other martial arts/systems all in one. Fitness Bootcamp is a blend of Cardio Kickboxing fused with functional fitness exercises, which include aerobic step, kettlebells, swiss balls, agility ladder training, body weight exercises just to name a few. The end result is a fun, fat burning awesome fitness experience. Utilizing sports specific techniques/exercises with and without equipment. 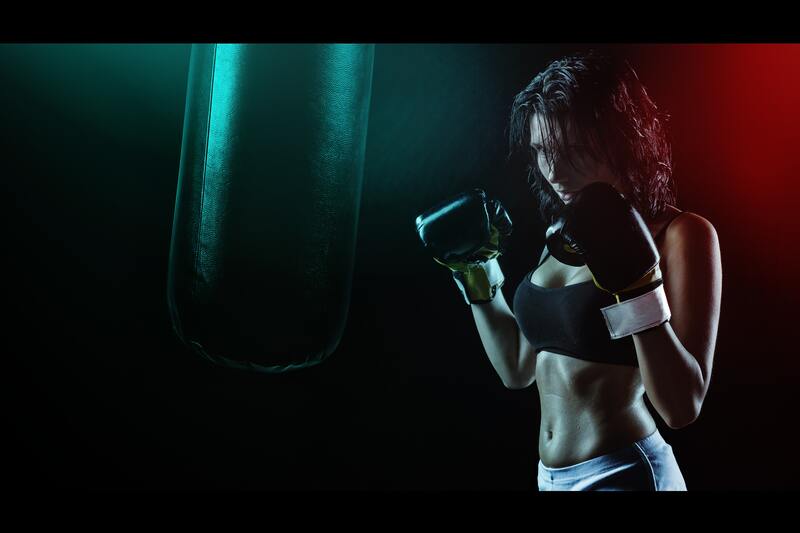 Combine the music, energy and excitement of an aerobics class with the techniques of kickboxing and body sculpting. The punches and handstrikes work your upper body while the kicks and footwork will blast your legs, obliques, and core! Learn the basic techniques of self defense while burning an average of 1000 plus calories per hour. Fitness BootCamp is the ULTIMATE synergy of functional fitness and martial arts/systems combined that produce amazing RESULTS!